My daughter is now 10.5 months and 23lbs! Still no problem wearing her and she LOVES IT! it’s about the only time she lets me snuggle her these days and although she is a nosy girl has no problem facing me because she has so much room to look around. Thank you ergo baby! I tried pretty much ALL of the “fabric wrap” carriers in the market, and NOTHING compares to the ease and comfort of this carrier. Although I used gift cards for the purchase, I believe that I would have been ok with paying the price if it was coming out of my pocket. Its worth it, just to get things done around the house when the baby is fussy. I tried the infant insert, but only ended up using the pillow part to give my son that extra lift at 3 weeks old. 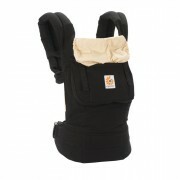 He is really good with keeping his head up, and the support of the carrier alone helps too. So no need to carry that bulk if not necessary. But the pillow works great on its own. 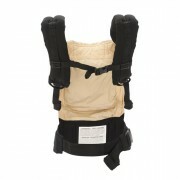 I owned the Baby Bjorn originally, but my son seemed to hate the positioning. After researching further, I learned Baby Bjorns are not ideal for healthy hip development because all of the baby’s weight is distributed in the crotch area with the legs extended straight. Because my son has hip dysplasia, this was very concerning to me. 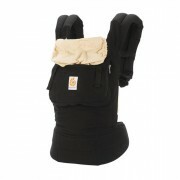 I returned the Bjorn and purchased the Ergo Baby. Not only is it incredibly simple to use, my son LOVES it. He can easily fall asleep when nap time rolls around and we’re out and about, and it promotes healthy hip growth as his weight is in his bottom with his legs in a frog like position. This is one of the best baby items I own!! 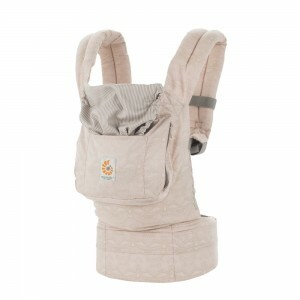 I have purchased every type of carrier (moby, EZSling, Baby Bjorn – and the list goes on) and I must say that out of every single one the Ergo is the best by miles… I can nurse in it, we walk together in it every night… I’ve had my three month old in it since she was a month.. I seriously do not know what I would do without the ergo. However I do not recommend buying the newborn insert… Just use two receiving blankets folded up! 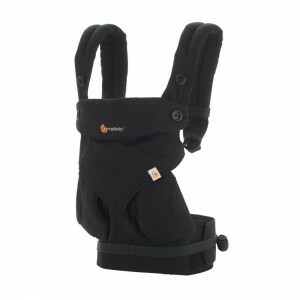 Not to try to take business or purchases away from Ergobaby but the newborn insert in my opinion just doesn’t work very well, and my baby didn’t like it at all. Coming from someone who owns every type of carrier – BUY THE ERGO!!!! I’ve had my Ergo Original for almost 4 years now, and used it with both my daughters. I was hesitant when buying it (beware of copies!) because the price is steep, but it has shown itself to be more than worth it. 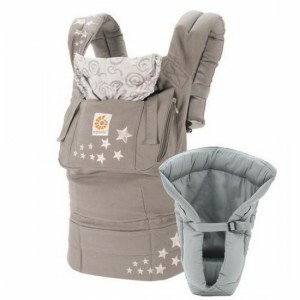 My favorite things about it: Washes well (when you have babies around this is a must! 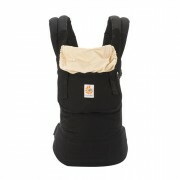 ), wears well (straps don’t slide, padded shoulder straps and the rest distribute the weight so that you don’t get an achy back, and I’m prone to backache), grows with the baby (super easy to adjust) and the Safety features. Safety: I LOVE that the straps roll up and that there are small loops to prevent the roll from sliding through if you didn’t buckle it on right (yea, it happens), always listen for the click! Uses: around the house (vacuuming, doing dishes, etc. ), hiking, shopping and travel (though I recommend having a stroller as well, since you want to be able to but the baby down if you’re traveling by yourself). 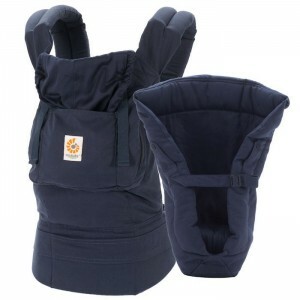 For the record I never used an infant insert (had a Baby K’tan wrap for small baby, but it’s nowhere near as secure feeling as the Ergo).